Looks like another politician missed the memo on appearing in public in blackface and they’re not black. 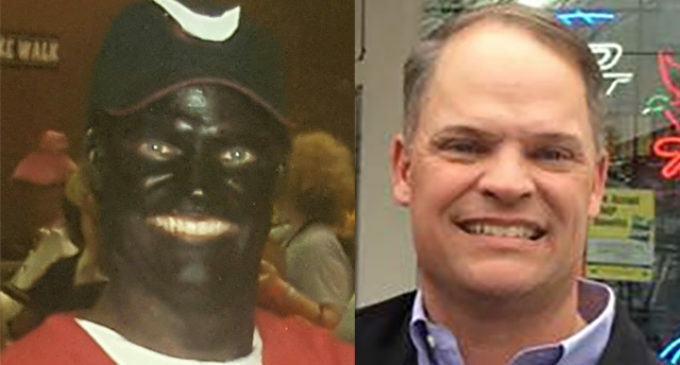 Louisiana House of Representatives 8th District candidate Robbie Gatti is catching all kind of hell over a photo of him that surfaced of him in blackface. Gatti was allegedly at a Halloween gathering. According to The Hayride, Gatti claimed the photo was taken with a digital camera and long before there were cameras on cell phones. The Hayride reported the photo was actually from 2010. Hmmmpf…Gatti’s claim about how old this picture actually is made out to be is actually quite weak…Come again please!! A candidate in the race for Louisiana House of Representatives is facing backlash over a racist photo of himself in blackface, apparently posing as golfer Tiger Woods as part of a Halloween costume. Robbie Gatti, the frontrunner candidate in the 8th District race is seen in the photo with his face and neck completely covered in black paint. The photo was revealed by a conservative Louisiana politics outlet, The Hayride. The source who provided the photo to the outlet said the photo was taken when Gatti was with members of the First Baptist Church in Bossier City. Gatti used to be an associate pastor at the church but was asked to leave.